Our 7 day weather forecast for Bridgwater updated throughout the day, making it ideal for planning leisure activities, travel and events. Read more about our weather forecasts. On Monday 22nd April 2019 the sun will rise at 06:04 and will set at 20:19. It will be a mild day, with temperatures reaching around 18.9°C. Today is expected to be a dry day, with a very low chance of rain. It will be quite a breezy day, with a maximum expected wind speed of 16mph. On Tuesday 23rd April 2019 the sun will rise at 06:02 and will set at 20:21. It will be a mild day, with temperatures reaching around 20.4°C. Today is expected to be a dry day, with a very low chance of rain. It will be quite a breezy day, with a maximum expected wind speed of 16mph. On Wednesday 24th April 2019 the sun will rise at 06:00 and will set at 20:23. It will be a mild day, with temperatures reaching around 12.1°C. A light shower is possible, 1mm of rainfall is possible today. It will be quite a breezy day, with a maximum expected wind speed of 29mph. On Thursday 25th April 2019 the sun will rise at 05:58 and will set at 20:24. It will be a mild day, with temperatures reaching around 12.7°C. A light shower is possible, 2mm of rainfall is possible today. It could be quite a gusty day today, with a maximum expected wind speed of 31mph. On Friday 26th April 2019 the sun will rise at 05:56 and will set at 20:26. It will be a mild day, with temperatures reaching around 13.5°C. Today is expected to be a dry day, with a very low chance of rain. It could be quite a gusty day today, with a maximum expected wind speed of 28mph. On Saturday 27th April 2019 the sun will rise at 05:54 and will set at 20:28. It will be a mild day, with temperatures reaching around 13°C. A few showers are expected, 3mm of rainfall is possible today. It could be quite a gusty day today, with a maximum expected wind speed of 33mph. On Sunday 28th April 2019 the sun will rise at 05:52 and will set at 20:29. It will be a mild day, with temperatures reaching around 5.3°C. Today is expected to be a dry day, with a very low chance of rain. There will be a gentle breeze in the air today, with a maximum expected wind speed of 19mph. Our weather forecast for Bridgwater is updated throughout the day and has been found to be very reliable for planning activities such as days out, leisure, travel, events, fishing, golf and gardening. Established in 1932 following a move from the club’s original site in nearby Cannington, this fabulous championship golf course is a hidden gem of the South West set within the lower slopes of the glorious Quantock Hills. Enmore is a parkland course near Bridgwater in Somerset which, from its highest points, offers extensive views over nearby hills and across the Bristol Channel to Wales. Two loops of nine start and finish at the clubhouse. At par 71 on 6,434 yards for men and 5,683 yards par 73 for ladies, the course offers a challenging test to all standards of golfer and is immensely entertaining. 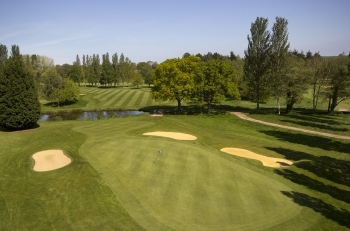 To add charm to the beautiful panorama, a delightful brook with three accompanying ponds is in play on five of the holes and, as a group, Enmore provides four of the most testing par 3s.